Haiku by myself. 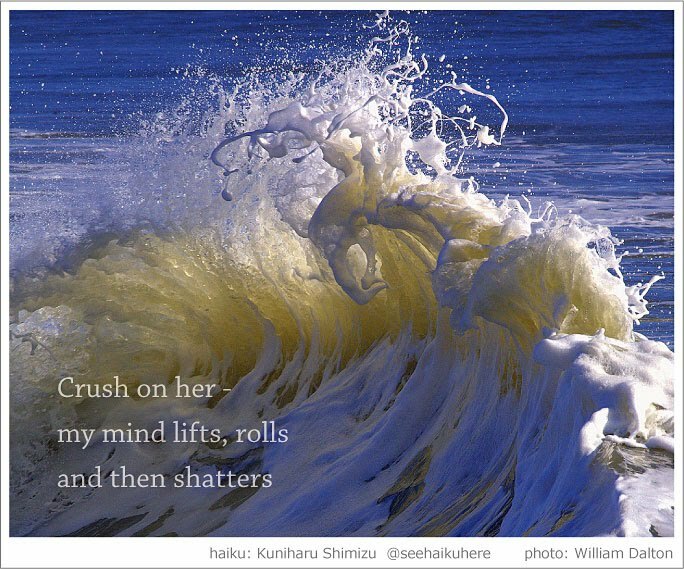 Another broken love haiga. Fitting theme at this time of the year, isn't it? I am positive that Hokusai, an Ukiyoye artist would love this photo. The wave looks so much like Hokusai's wood block print.